If you’re looking to take a trip but don’t want to spend too much on airfare, lodging, parking, and other expenses that accrue when traveling, a “staycation” just might be the perfect choice for you. Luckily, if you live in PA, there is no shortage of places to visit that are fun and close to home. Today we’re going to highlight one of our favorites! Cook Forest has been attracting visitors since the early 1930s. With facilities and paths crafted by the Civilian Conservation Corps during the Great Depression, this 8,500-acre state park in central Pennsylvania combines the best of rustic warmth and natural beauty. It also has one of the largest concentrations of white pine and hemlock trees in the United States. There are a myriad of things to see and do in Cook Forest. Cook Forest also has 29 miles of hiking and biking trails at all skill levels. The restored, historic sawmill in the park now houses a non-profit art center with a galleries/gift shop and a full schedule of events — including the popular Chainsaw Carvers Roundup in the fall. Although the state park has cabins for rent and campsites, not everyone wants to camp during their staycation. If you’re looking to couple your staycation with a romantic getaway, staying somewhere with running water (even an Inn-room hot tub!) might be more in line with what you’re looking for. One nice alternative to staying inside the park is to venture about 20 miles west (about 30 minutes) to central Pennsylvania wine country and stay at the Inn at Deer Creek Winery. Fun and memorable trips don’t have to require a lot of travel, or cost a lot of money. 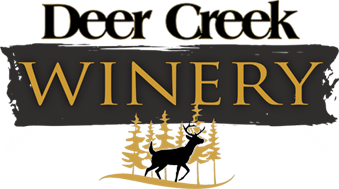 To learn more about all of the fun things to do in and around Cook Forest and/or to reserve a romantic getaway at Deer Creek Inn, contact us today by calling 814-354-7392!